This story can change your thinking or may be inspire you. So read this post by your heart. This post is about a common man to known icon of present time who had a dream to do something big in his life but I told you earlier that he is a common man so definitely he faced some failure in his life. So, let me tell you a brief description about his struggle, failure first. A young man who has tasted both failure and success in a short span of time, Sandeep has become an inspiration to many. Sandeep’s vision is to ignite and inspire the entrepreneurial spirit of tomorrow's leaders and help them succeed. Sandeep, a college dropout, started as a freelance photographer and faced countless adversities to become one of the most well known entrepreneurs of India. 2000 - Started as a freelance photographer without any studio (used to take studio on rent). 2001 - Sold his camera and joined Japan Life, a multi level marketing company. 2002 - Started a company in partnership with three more people but the company closed within a period of six months. 2003 - Wrote a book on marketing and started a consultancy firm. Failed again and got back to what he was really passionate about - photography. Created a World Record in fashion photography (Published in the “Limca Book of Records 2004”). 2004 - Created a small studio set-up at home and started expanding the portfolio making business by hiring few assistant photographers. 2005 - Conceived the idea to start a stock photography website and started working on ImagesBazaar. 2006 - Launched www.imagesbazaar.com with just 8,000 images shot by a few photographers. But now imagesbazaar has got more than 10,00,000 images and videos shot by over 11,400 photographers and filmmakers from all over India. 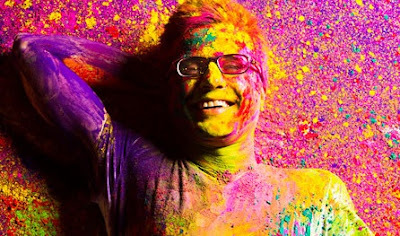 ImagesBazaar is the world’s #1 collection of Indian images and videos. Over 7,000 brands in more than 45 countries have been using ImagesBazaar’s images and videos for their advertising, marketing and publishing needs. Here I am going to tell you a small incident which happened in his life. When he was 13, Sandeep Maheshwari's father thought his son could do with a moped. So he bought the young fellow a shiny new two-wheeler thinking it would help him move around in Delhi, a city starved of a good transport system. Little did Maheshwari Sr know that his son would actually make money out of the gift! On the first available occasion Sandeep rented out the moped to one of his friends who wanted to take his girl for a spin. Within a matter of months, Sandeep was a star and became known to everyone looking for two wheels with an engine attached. The rate: Rs 50 per hour and the condition that the rider bears the fuel expenses! It wasn't long before Sandeep not only recovered the cost of the moped but was also making money from it! Later when his father fell on tough times, it was this entrepreneurial spirit that held him in good stead. Recently, I saw his seminar video on youtube i.e. "LAST Life-Changing Seminar by Sandeep Maheshwari in Hindi"
And I must is really a awesome speech by him, you all guys must see this video if you know HINDI.